Life is full of special events. Any spiritual occasion – bat/bar mitzvah, marriages, baby naming – need thoughtful readings and reflections to make them complete. Rabbi Polirer shares his wisdom and knowledge of the sacred text for Jewish and interfaith families to commemorate life cycle events. A noted religious scholar trained in New York City, Rabbi Polirer’s words add richness and meaning to the spiritual journey through life. 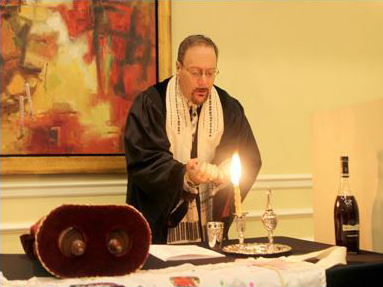 Rabbi Polirer crafts ceremonies in accordance with Jewish law, drawing in personal references, readings and chants. His wedding ceremonies are cherished: whether the couple is Jewish or interfaith, Rabbi Polirer celebrates the union with dignity, sanctity, and a touch of humor. He beautifully integrates the rich history of the Jewish faith with contemporary hopes and expectations, making each ceremony unique for the couple. 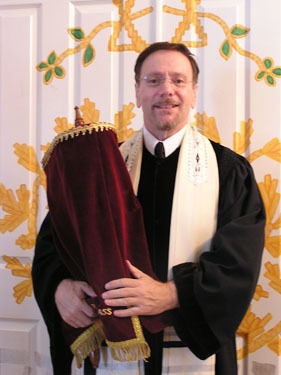 Joyful and reverent, Rabbi Polirer uses sacred texts and chants (he’s a wonderful singer and cantor) and the wisdom he gained through years as a congregational leader to make any ceremony memorable and meaningful. He’s available throughout south Florida, and also for destination weddings, too.